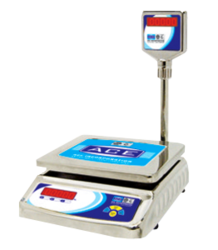 We put forth a comprehensive range of Commercial Scales that includes Mini Commercial Scale, Table Top Regular Body, Bench Model, Heavy Platform Commercial Scales and Heavy Chequer Commercial Scales. These are made, using quality tested components that are procured from reliable vendors of the market. 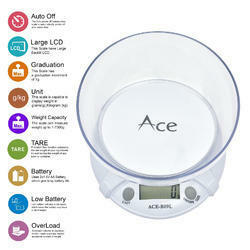 Digital kitchen scale- a kitchen device used to measure the weight of ingredients and other food. Kitchen scales are available in balance or spring models. We are highly reliable manufacturers and exporters of Table Top Regular S.S Body, which fulfill all the necessities’ of the market. These are incorporated with quick weighing with stable display, automatic Zero Setting, Dust proof and Damp proof features that are facilitating hassle free performance. Our range find usage in applications like Jewellers, Pharmaceuticals, Industrial sampling, Lab etc. Apart from this, we offer the Table Top Regular S.S Body to the clients’ at the most competitive prices.